Albuquerque, New Mexico has joined the list of communities which has rejected photo enforcement at the ballot box. In an October 4rth vote, 54% of the 40,000 people voting in the referendum said "NO" to the question asking "Shall the Albuquerque City Council continue authorizing the 'safe traffic operations program,' commonly called the 'red light camera program'?" The Albuquerque measure was placed on the ballot by a . The company which runs the red light camera program on the other hand invented a grass roots "Astroturf" campaign supporting the camera program, with Redflex spending $142,050 on a group(the group's entire budget) called "SafeRoads Albuquerque" which sent out mass mailings designed to look like they came from a 'Grass roots' organization. Redflex reportedly changed the name of the group to reveal its relationship to the organization after it was threatened with an ethics complaint. Camera companies have conducted similar astroturf campaigns in other parts of the US, including Baltimore County and Howard County Maryland when a leading speed camera contractor (ACS) . 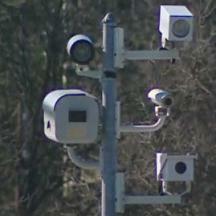 An effort to place Maryland's statewide speed camera program on the ballot for a public vote in 2009 failed due to the state's extremely strict time constraints for bringing legislation to referendum, and due to the extremely restrictive signature requirements imposed on the petitioners by the state at that time. Some of the state's signature requirements that were imposed on the Maryland speed camera petition effort were ruled invalid by the courts when an unrelated petition effort was challenged a year later in Montgomery County.